In Amity and Prosperity, the prizewinning poet and journalist Eliza Griswold exposes the tattered edges of the social fabric in rural America. In a work rich with narrative suspense, she explores the volatile personalities and politics of a small Allegheny town that has an abundance of natural gas but no municipal water supply. The result is a definitive guide to the fracking debate, and to the larger social and environmental hazards that are upending rural America. Stacey Haney, a lifelong resident of Amity, Pennsylvania, is struggling to support her children when the fracking boom comes to town. Like most of her neighbors, she sees the energy companies' payments as a windfall. Soon trucks are rumbling down her unpaved road and a fenced-off fracking site rises on adjacent land. But her annoyance gives way to concern and then to fear as domestic animals and pets begin dying and mysterious illnesses strike her family-despite the companies' insistence that nothing is wrong. Griswold masterfully chronicles Haney’s transformation into an unlikely whistle-blower as she launches her own investigation into corporate wrongdoing. As she takes her case to court, Haney inadvertently reveals the complex rifts in her community and begins to reshape its attitudes toward outsiders, corporations, and the federal government. 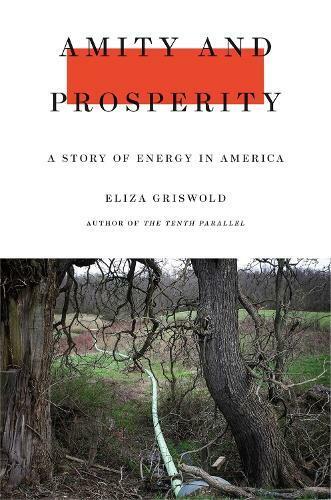 Amity and Prosperity uses her gripping and moving tale to show the true costs of our energy infrastructure and to illuminate the predicament of rural America in the twenty-first century.